Ethereum’s ether (ETH) token fell 47.5 percent in the first three months of 2018 – its worst quarterly drop on record. While the notable slump came amid a general downturn afflicting the cryptocurrency markets, it was also exacerbated by problems more unique, perhaps, to ethereum. However, although the decline appears major at first glance, it looks like a drop in the bucket when compared to the astounding 9,382 percent rally ether saw in 2017. Looking at the historical data above, the cryptocurrency’s previous worst quarterly performance came at the end of 2016, when it fell by 39.6 percent from $13.2 to $7.97, as per CoinMarketCap. But what went so wrong in 2018? ETH began the new year on a solid note, rising to a record high of $1,432 on Jan. 13. However, broader market jitters pushed it below the $1,000 mark in the second half of the month. The cryptocurrency closed at $1,118 on Jan. 31 – up 47 percent on the month. Back then, the investor community considered ETH a safe haven asset for the crypto market. The rationale behind the sentiment was that there will always be a steady demand for the token, given that most initial coin offerings (ICOs) are built on top of the platform and creators are required to pay fees in ETH. However, this plus point proved to be ether’s Achilles heel over the two months that followed. In a hearing before the Senate Banking Committee on Feb. 6, the Securities and Exchange Commission (SEC) focused on ICO fraud concerns – a day that saw a dip in prices to around $650. Still, ETH bottomed out at $574, tracking the broader market recovery. 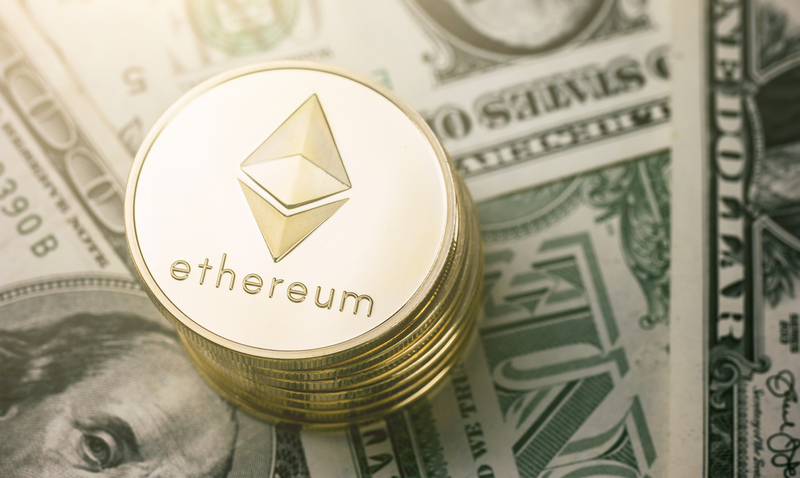 The ensuing rally, though, ran out of steam near the $1,000 mark and, by the month’s end, ETH had fallen back to $850 – down 23 percent on a monthly basis. Prices fell below $500 on March 18 after the SEC confirmed it is investigating “dozens” of ICOs. Further, cryptocurrency ad bans by tech giants like Google, Facebook and Twitter did not help the price, either. Overall, ether tanked 53 percent in March, tracking the broader market sell-off and hampered by its own woes. Even so, while the first quarter of 2018 has not been a rosy one for the world’s second largest cryptocurrency by market capitalization, there is a bright side – the token is still up more than 700 percent year-on-year.